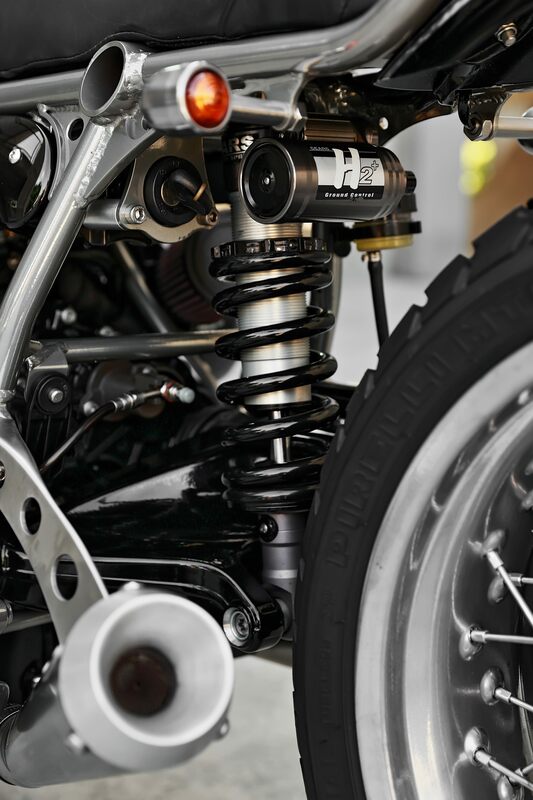 Scramblers have skyrocketed in popularity in recent years, they offer riders the opportunity to have adventures down fire trails and other light-to-medium grade off road routes, whilst still being well-suited to road use. 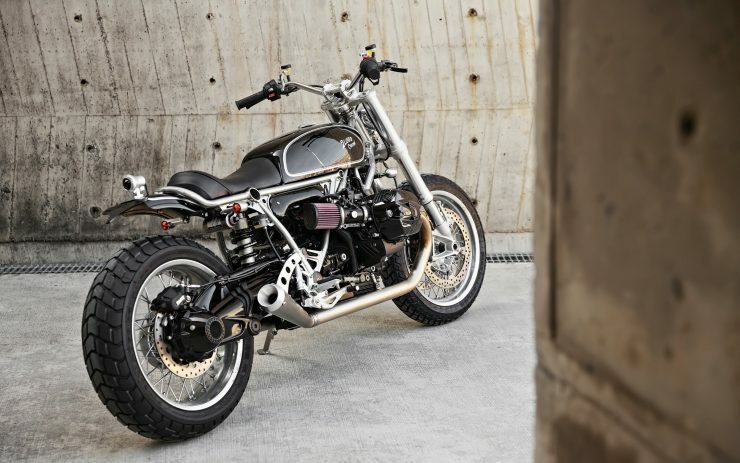 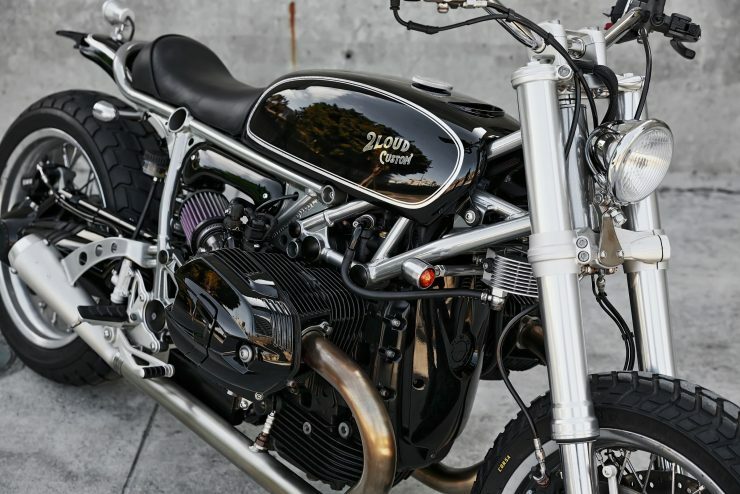 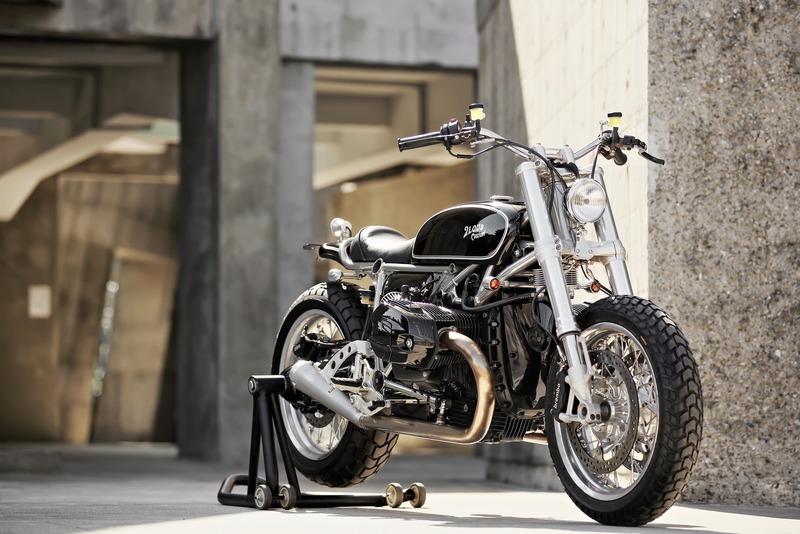 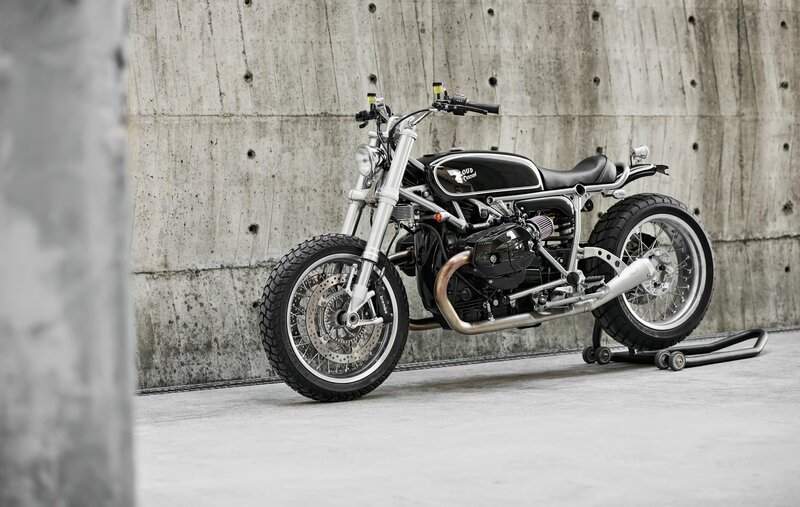 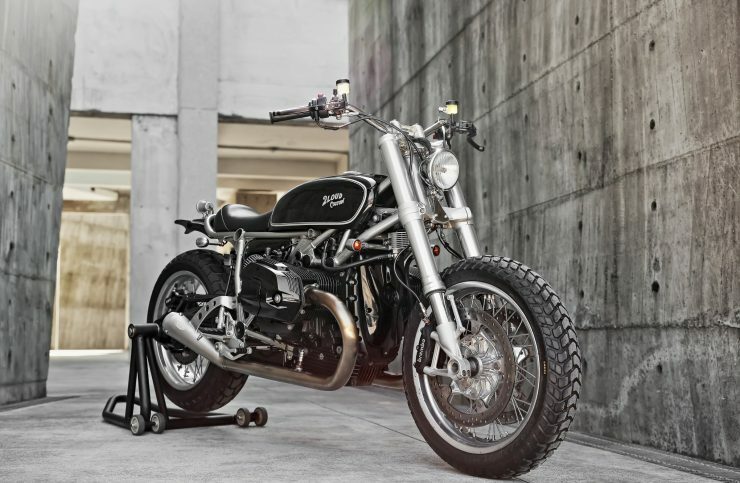 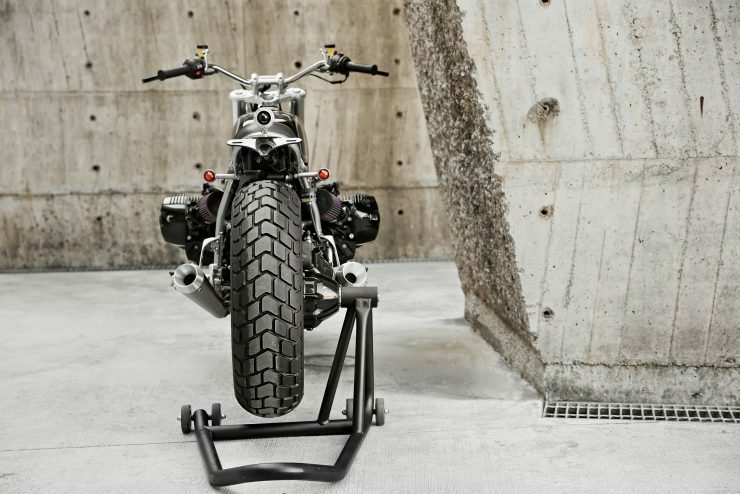 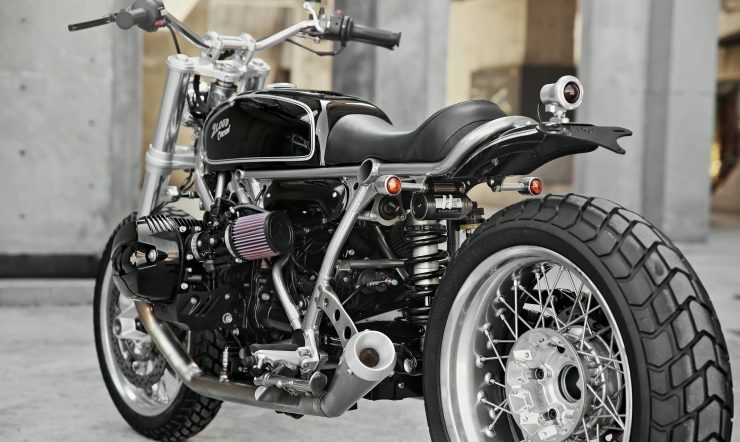 When 2Loud Customs took on a commission to build a scrambler based on a BMW R nineT they knew they had their work cut out for them. 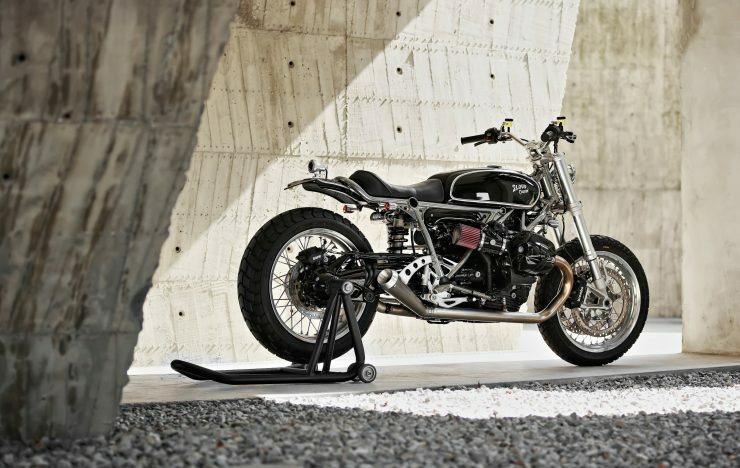 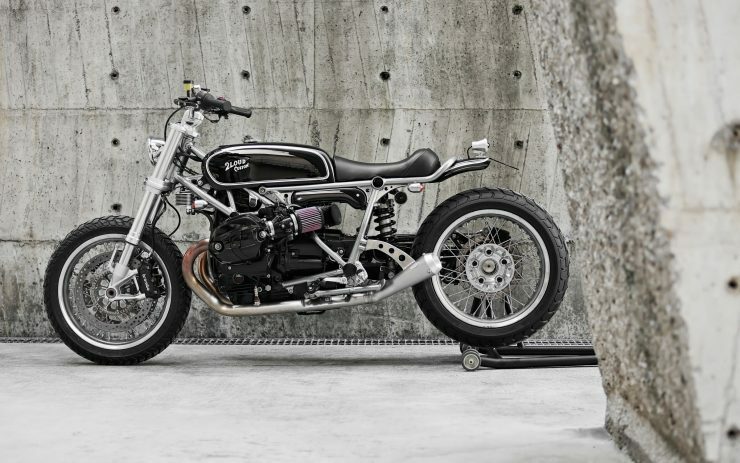 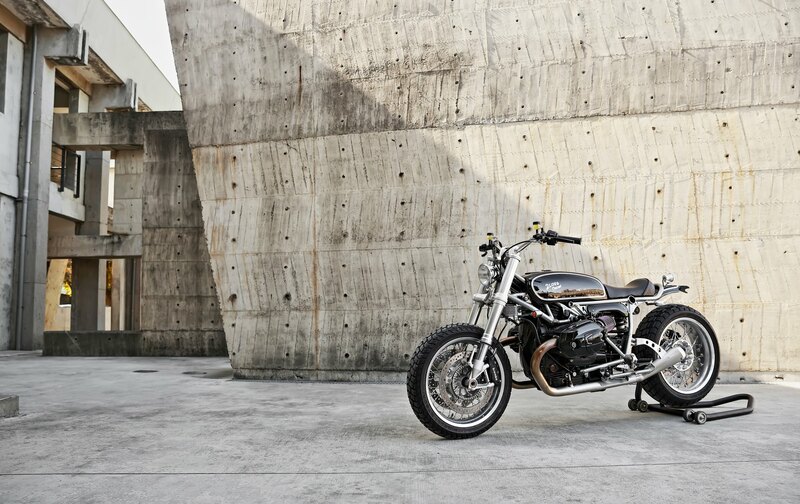 The BMW modern classic has been converted into everything under the sun already, including a number of scramblers, and the team at 2Loud pride themselves on their unique style. 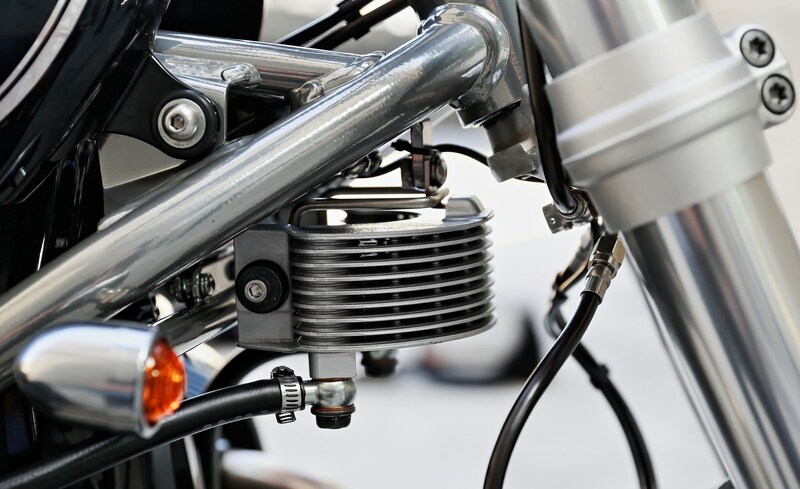 The build started with a teardown, it was very quickly decided to get rid of the original fuel tank and replace it with a far smaller unit to showcase the frame and engine that’s partially hidden by the factory fitted tank. 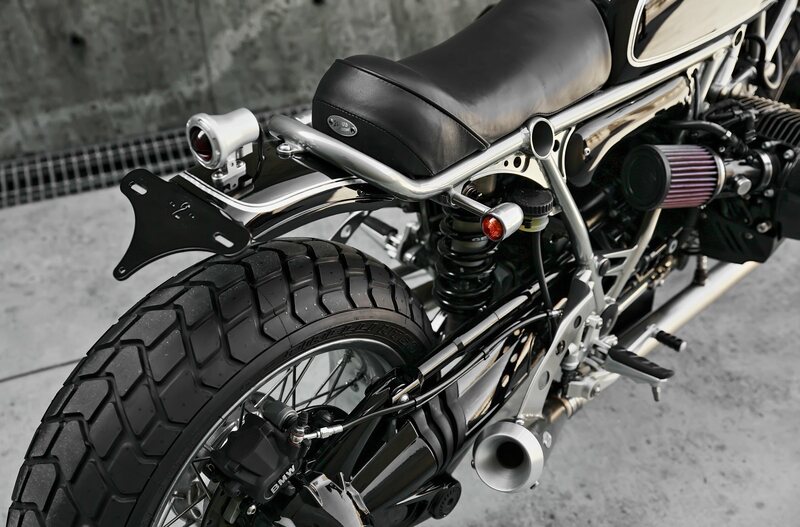 The original wheels were kept, with a new baked on paint scheme for longevity, wrapped in chunky Pirelli MT60RS tires front and back. 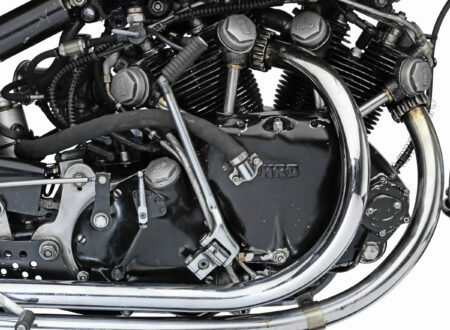 The original monoshock was swapped out for an adjustable Gears Racing H2P unit, with two-way damping adjustment, an active valve piston, and spring pre-load adjustment. 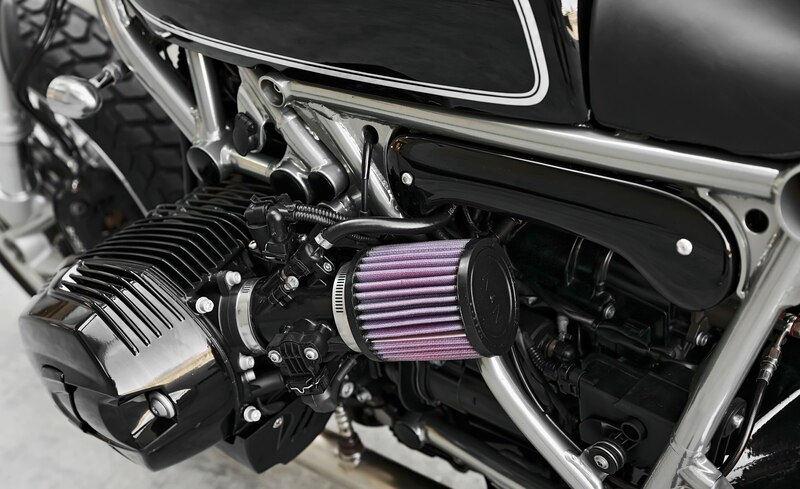 The engine was redone with jet black high-temperature paint, and a new stainless steel exhaust was made, and a pair of K&N high performance air filters were fitted. In order to keep temperatures down, a new Arch oil cooler was fitted. 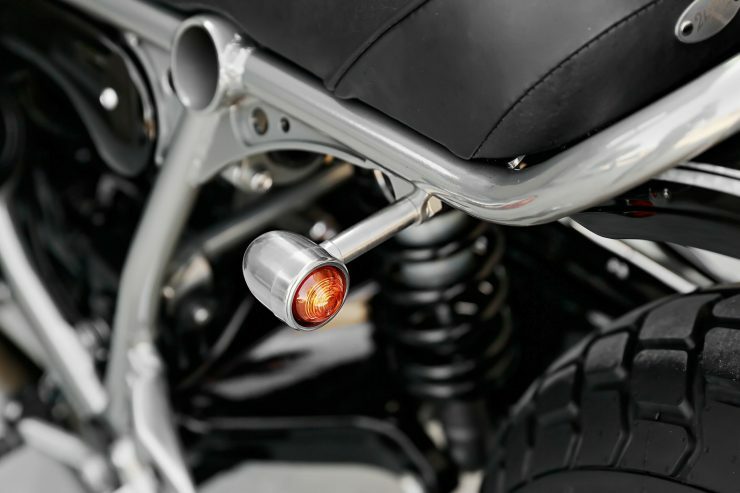 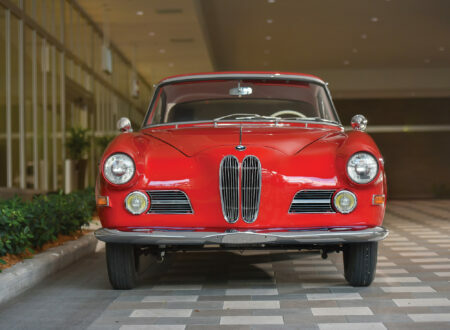 The original brake, indicator, and headlight were removed and replace with much lower profile alloy indicators with a MS Pro aluminum alloy CNC-cut tail light, and a 4.5” headlight finished with chrome. 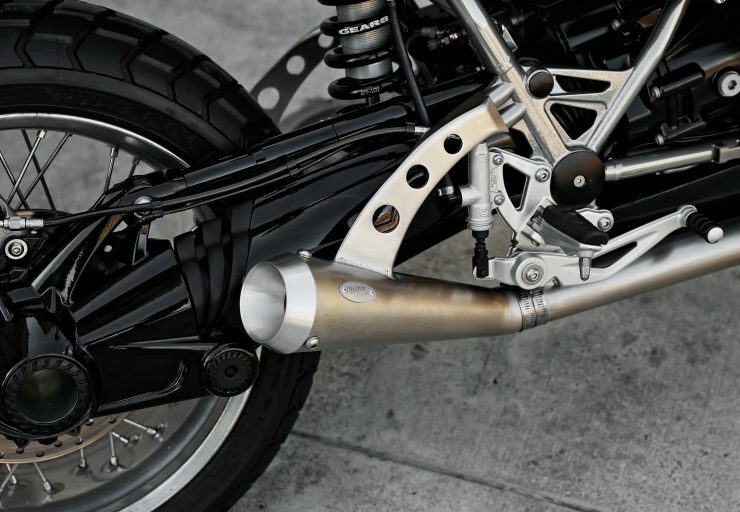 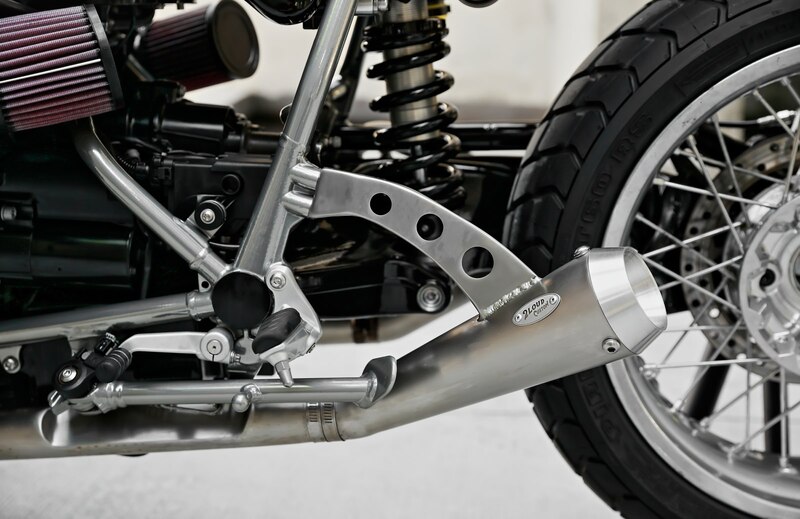 The rear subframe was redone to suit the new handmade leather seat, and the fuel tank was shaped from flat steel, with a hand-shaped alloy cover fitted over the top. 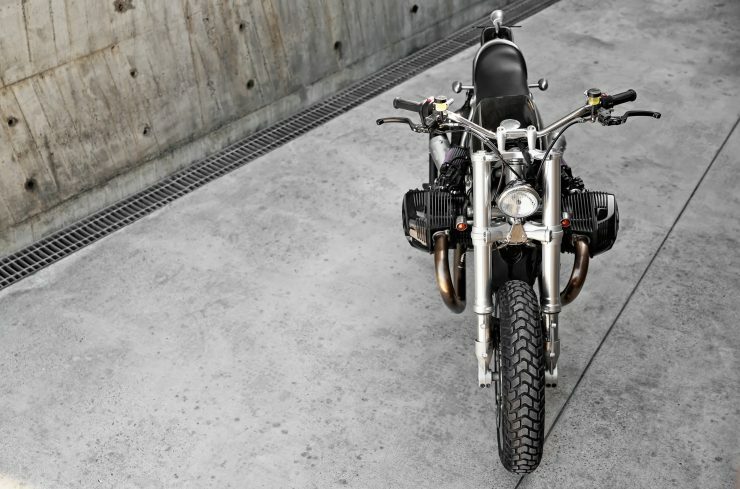 The completed bike is a testament to the unique style of 2Loud Custom, and it looks like it’d be a hell of a lot of fun to ride too. 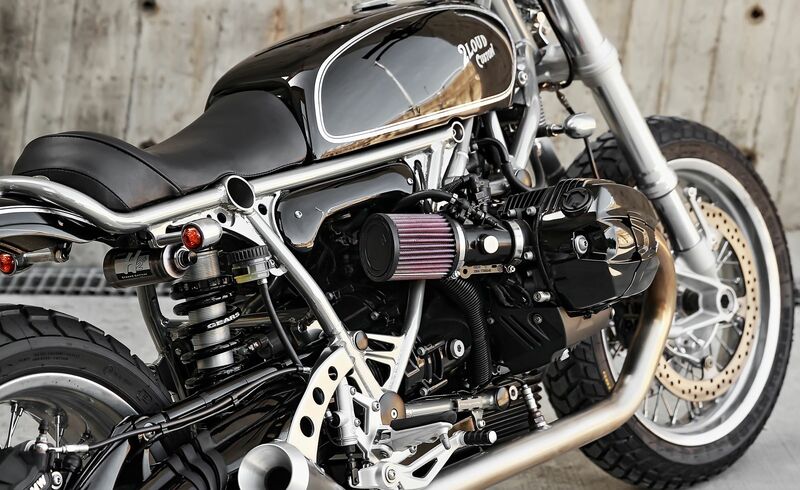 If you’d like to see more from the garage you can click here to visit their Facebook page, or follow them on Instagram here. 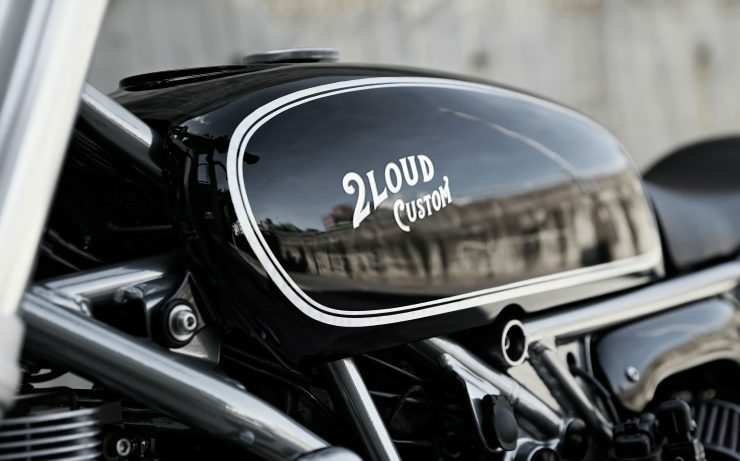 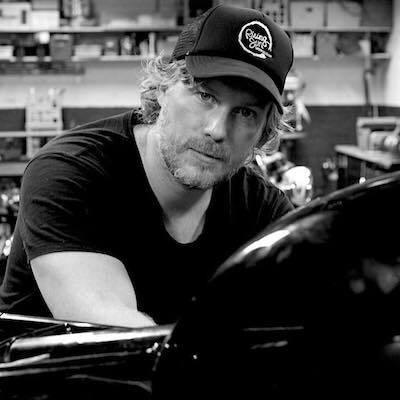 2Loud is a custom motorcycle garage based in Taipei, Taiwan with a worldwide reputation for building unique custom motorcycles. 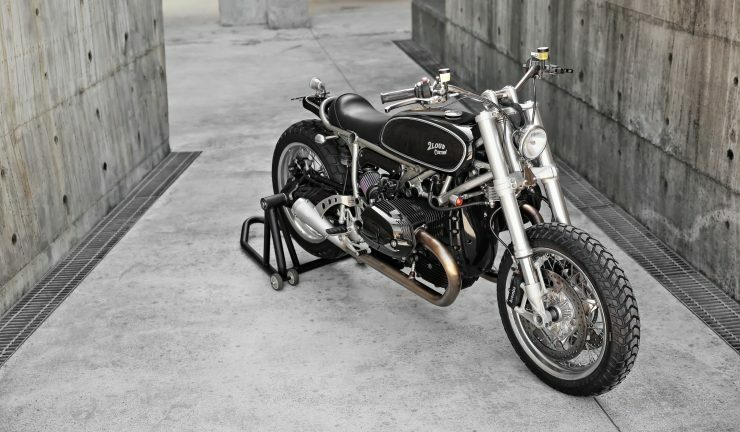 The operation is run by Max Ma, and his influences largely come from the Japanese custom scene that lives a few lines of latitude to the North. 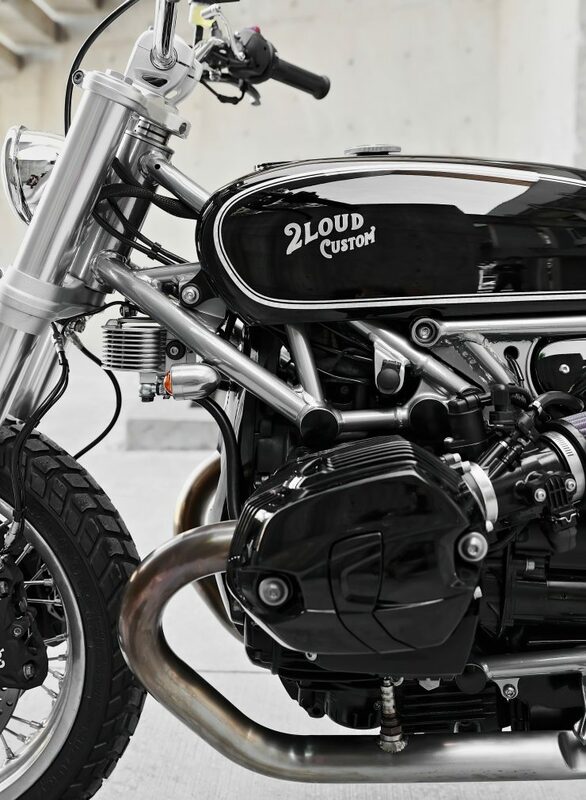 Max and his team have an eye for fine detail, and customs that roll out of 2Loud typically include a wealth of detail that you really have to pore over the images to see. 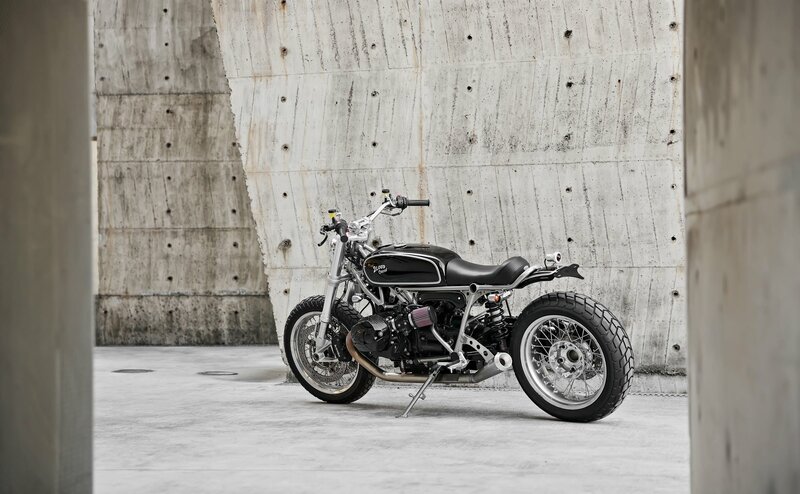 Taiwanese traffic regulations are notoriously pedantic, so max often finds himself trying to balance visual appeal and practicality with the fine letter of the law. 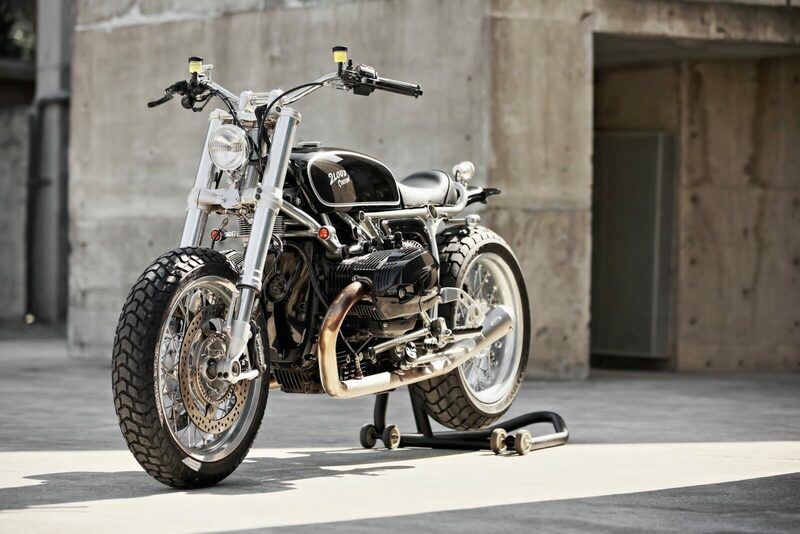 The BMW R nineT was developed by the German marque as a modern version of the now iconic R90 – the identically pronounced (but far simpler to type) name given their top of the line model originally released in 1973 and sold through till ’76. 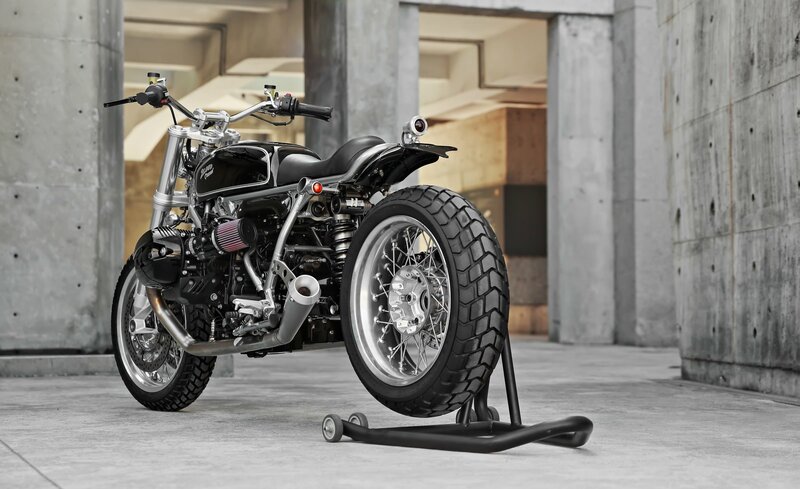 BMW developed the R nineT as a base platform for customization, not dissimilar to the Sportster from Harley-Davidson, the Bonneville from Triumph, or the Scrambler from Ducati. 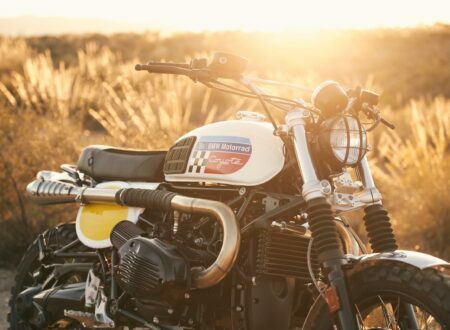 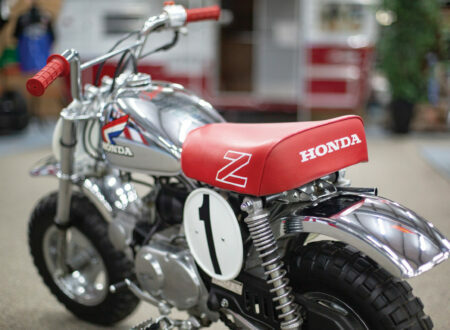 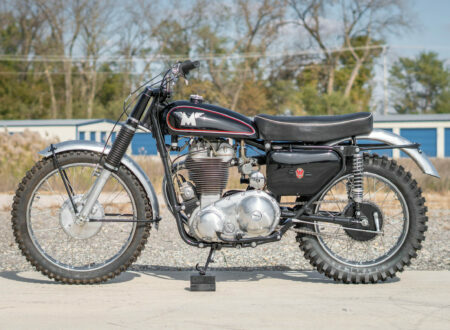 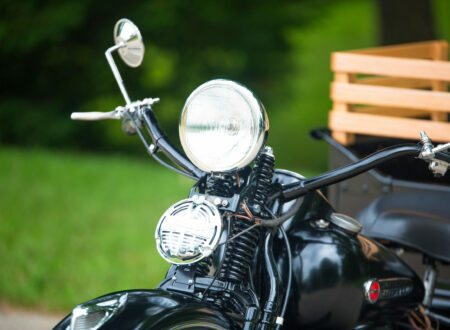 The current trend toward heritage motorcycles that embrace some of the simplicity and classic design language of their forebears shows no signs of slowing down or losing momentum. 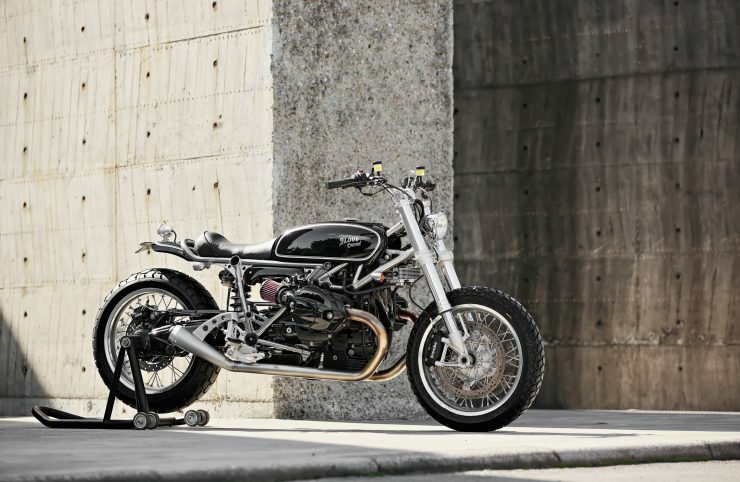 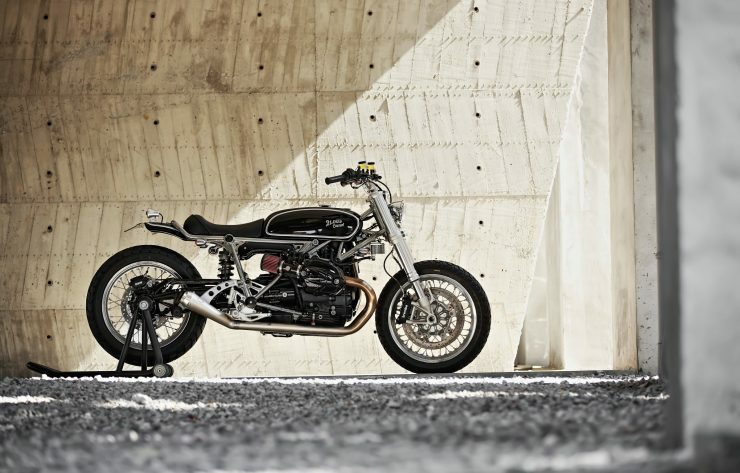 With its 1200cc horizontally opposed twin, 6-speed transmission, dry clutch, shaft drive, upside-down forks and monoshock rear – the R nineT rides as well or better than any modern motorcycle and with 110bhp and a top speed of 135 mph – it’s highly unlikely that even the most capable riders will ever manage to tire of it.